Two Homecare Nurses At An Elderly Mans House. They Have A Hoist Set Up. Royalty Free Fotografie A Reklamní Fotografie. Image 65447322. 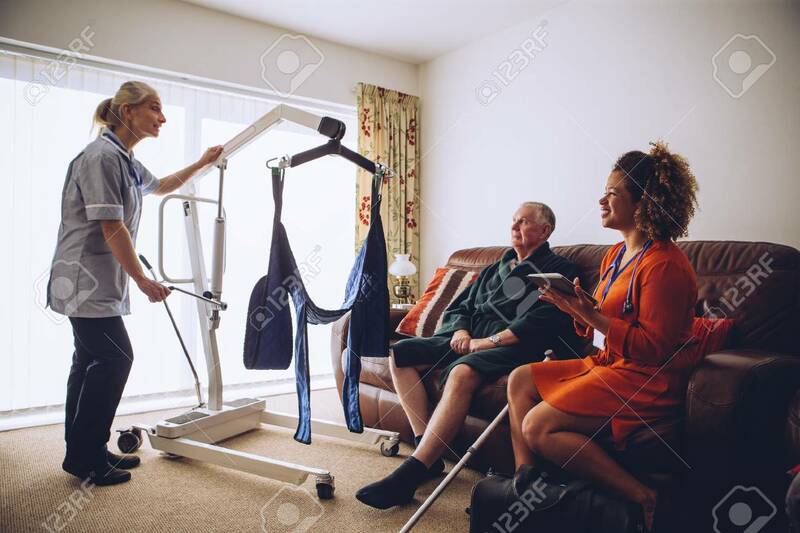 Reklamní fotografie - Two homecare nurses at an elderly mans house. They have a hoist set up. Two homecare nurses at an elderly mans house. They have a hoist set up.